Unlike its namesake, Glastonbury, there's no mud, no queues, no tailbacks! But we do have plenty of talent. 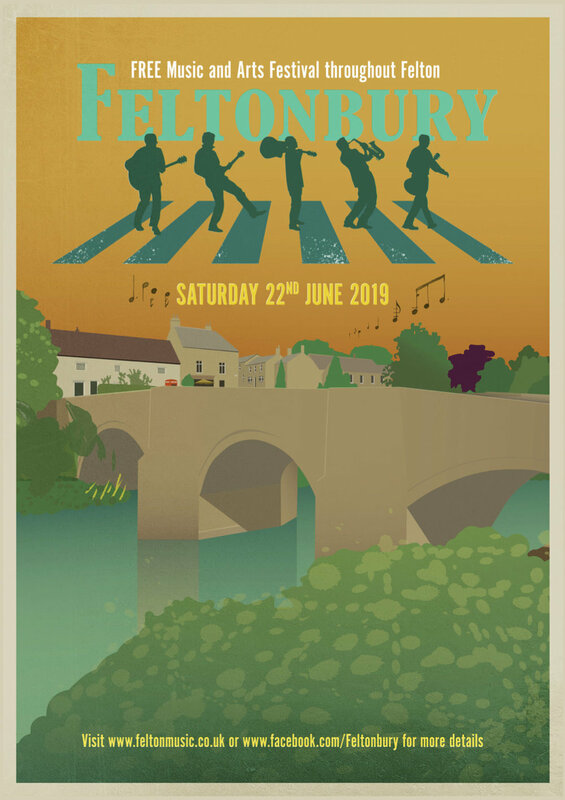 Feltonbury is a Music and Arts Festival held in the beautiful Northumbrian village of Felton. Now in its fourth year, it's an eclectic mix of music, song and general creative mayhem. All are welcome and it's a great day out for the family. For more information follow us on Facebook or email Neal Skelton at nealskelton@btinternet.com. Saturday 22nd June, 2019 is the date and the planning process gets underway. The event has become a village social landmark in the space of a very short period of time - and we intend keeping improving the quality of the day's activities. Each year we have had a different focus and this year is no change - whilst simultaneously retaining the popular 'favourites' in their known slots….